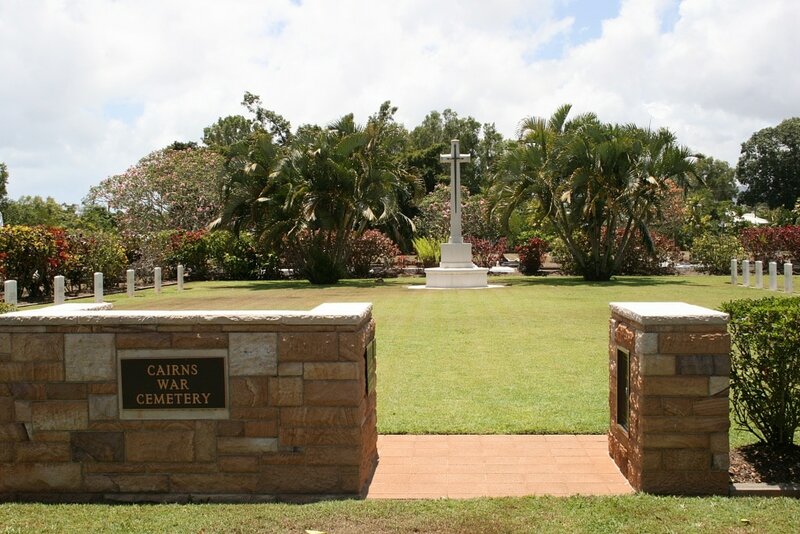 Cairns is a town and seaport on Trinity Bay on the north-eastern coast of Queensland, and is 2,029 kilometres north-west of Brisbane. 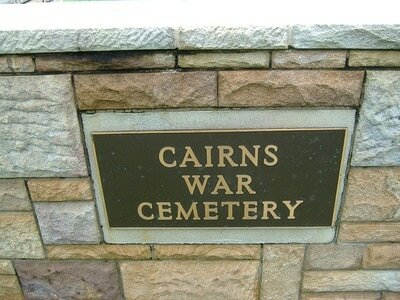 Cairns Cemetery is at the end of Martyn Street, off Bruce Highway. 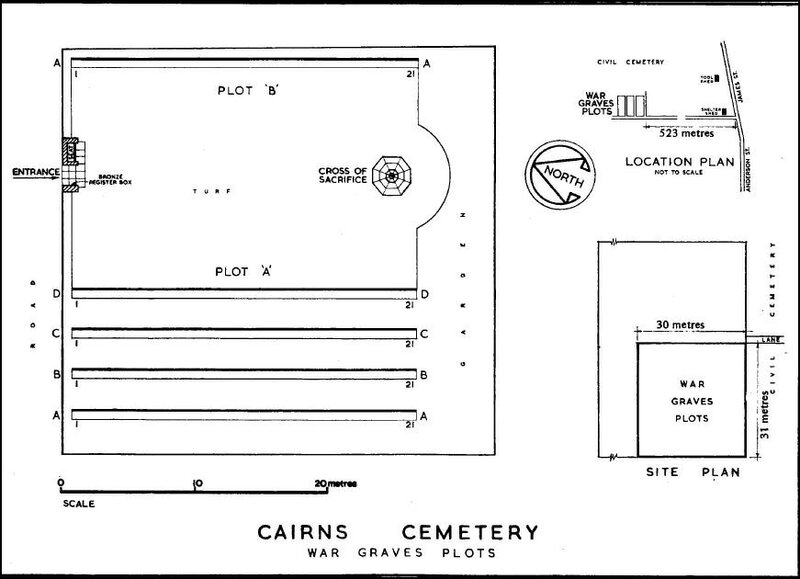 It contains a special plot of service war graves. A paved entrance leads into this plot from an internal roadway of the civil cemetery. 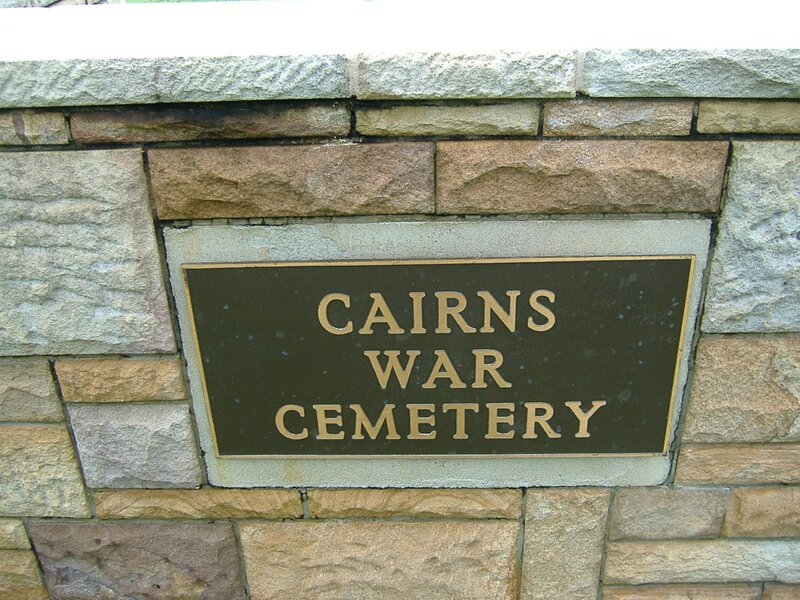 Immediately to the left of the entrance is a stone seat into the back of which, facing the approach, is set a panel bearing the name " Cairns War Cemetery ". 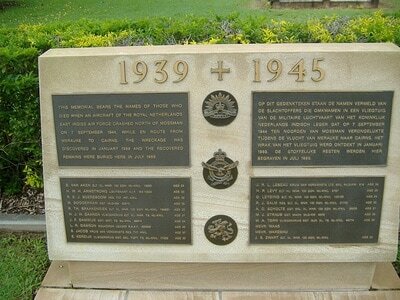 On the right is a stone pier containing a bronze box in which the register is kept. 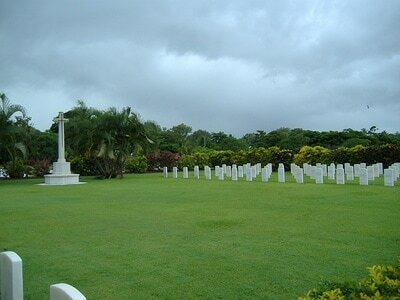 Opposite the entrance stands the Cross of Sacrifice. 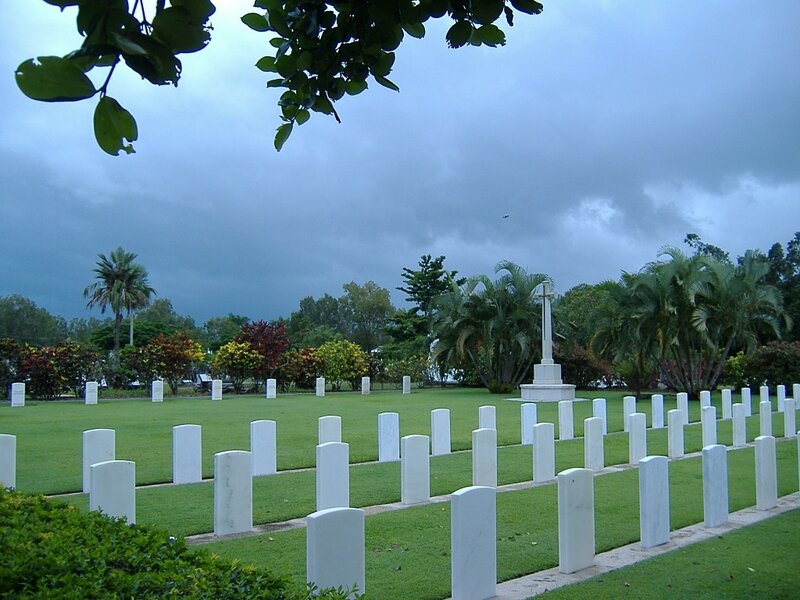 After the first Japanese raid on Darwin, on 19 February 1942, a shuttle service of small merchant ships between Cairns and Darwin was introduced. 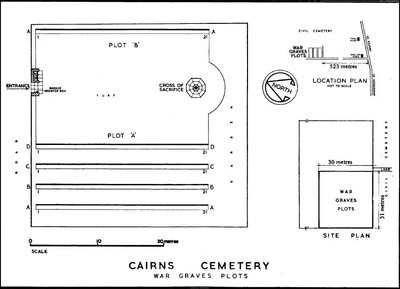 Cairns was also an important air base, from which two Catalina General Reconnaissance Bomber Squadrons (Nos. 11 and 20) operated. Cairns Cemetery contains 109 Commonwealth burials of the Second World War, and eight from the First World War. There are also 19 Dutch war burials.